September is the month to resume school and work activities. Its time to say bye to the beaches, swimming pools, and house parties, and say hello to classrooms and office desks. This switch involves a lot of back to school shopping and planning of work activities. 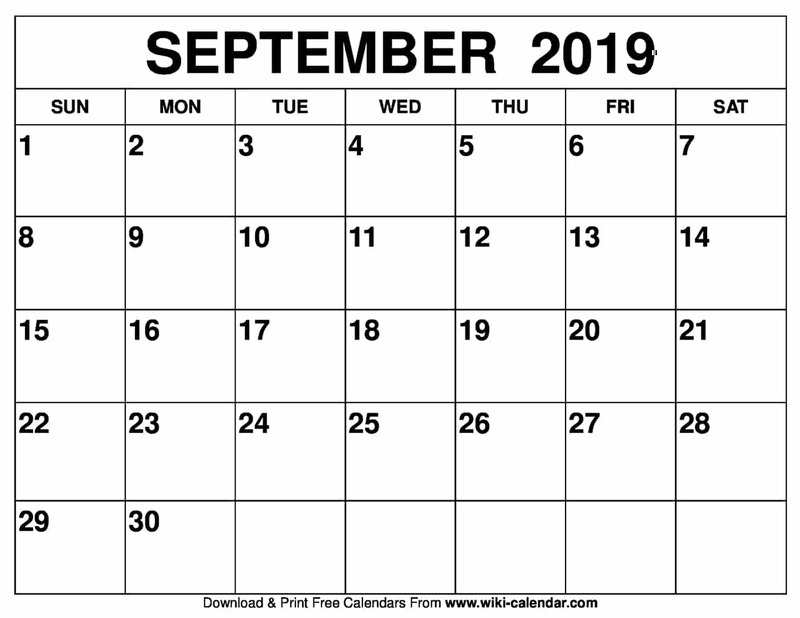 A well designed September 2019 calendar template could come in handy. September is the month of new beginnings; a new academic year for students, and a new fiscal year for most businesses. It is the month to switch from the 3month long summer holiday and strap some boots on for serious work. This switch can be challenging to most people, as it comes with a lot of tasks that need to get done. To successfully kick off this season, you need a beautiful September 2019 calendar for planning it all. If you like to use a floral calendar in horizontal orientation, this can be the perfect choice for you. 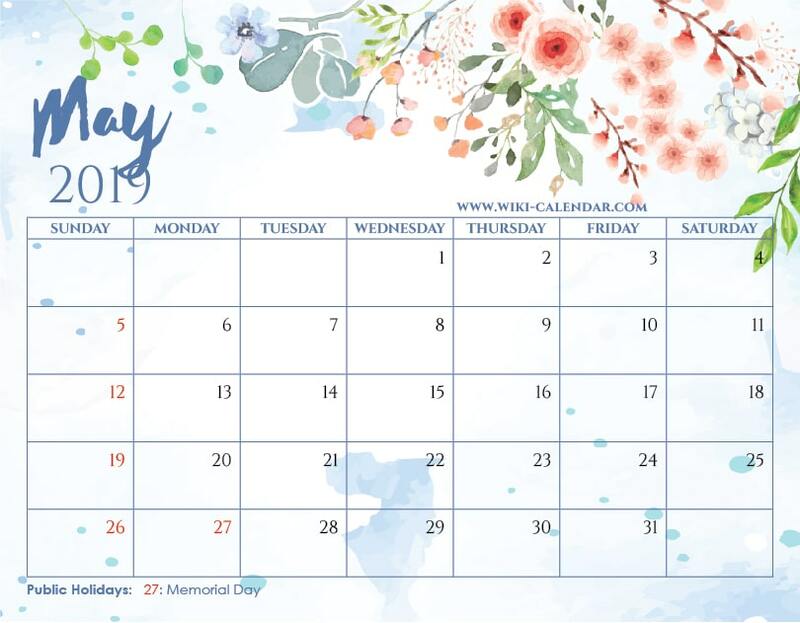 Here is your Free Printable September 2019 Floral Calendar with Holidays! The textured paper background plus the hand painted floral elements are pretty awesome. They will inspire you to have an amazing month ahead! 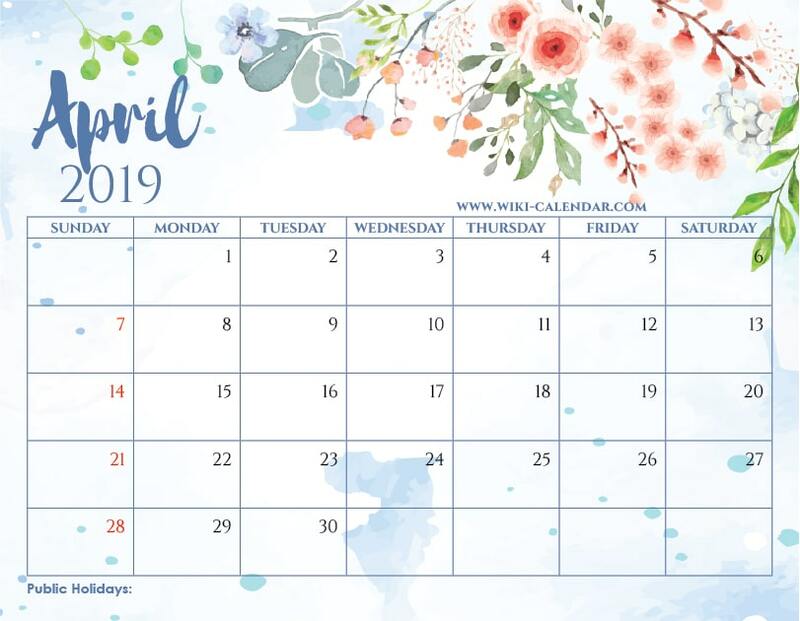 September 2019 Floral Calendar templates are available in various formats including PDF and JPEG printable. The transition from summer holiday activities to the work and school routine calls for a lot of preparation. All the back to school shopping and clearing of any work or assignments that is due on opening. All these you have to accomplish within the first 22 days of the month. The only way to this off without much hustle is to get a September calendar template and lay it all out. Our September 2019 Calendar Printable templates are designed to help make your planning an easy and fun activity. They come in various designs: both vertical and horizontal templates are available. You can also customize the month’s organization to make the week begin on Monday, Sunday, or any other day of your choosing. The color of the template is another important its appearance and may affect how you look at planning. For example, did you know that bright shades such as bold red are energizing and stimulating? Using such bold colors on your calendar can give you the juice to think and schedule your month. 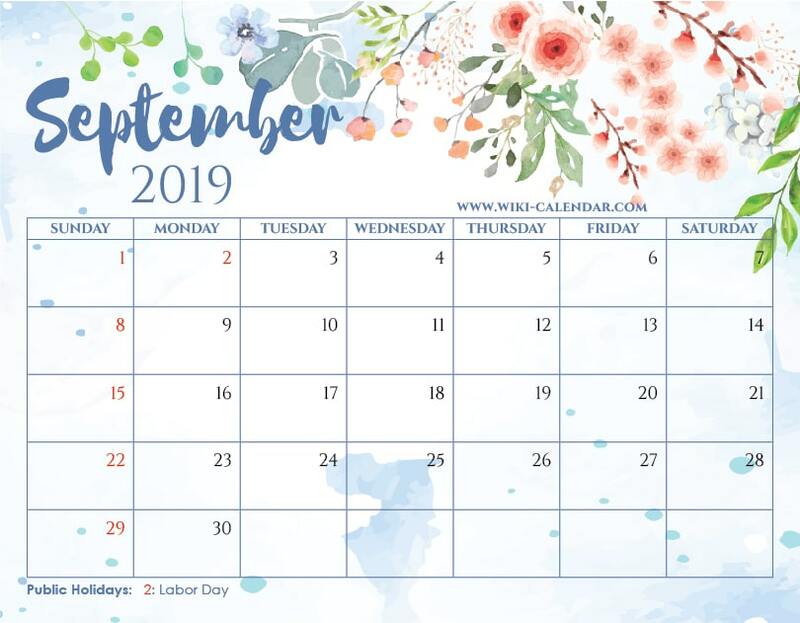 Such colors are available in our Blank September 2019 Calendar templates. Still, on appearances, you can choose to go for a photo template or a themed template. The photo templates allow you to add photos to your calendar. This will give you a warm feeling whenever you look at the calendar. The themed calendars have all elements of its design, from color and arrangement to its shape and photos consistent with a certain subject. This makes the calendar emanate the theme’s vibe. Popular themes for Printable September 2019 Calendar templates include Apples, Fall, and Labor day themes. 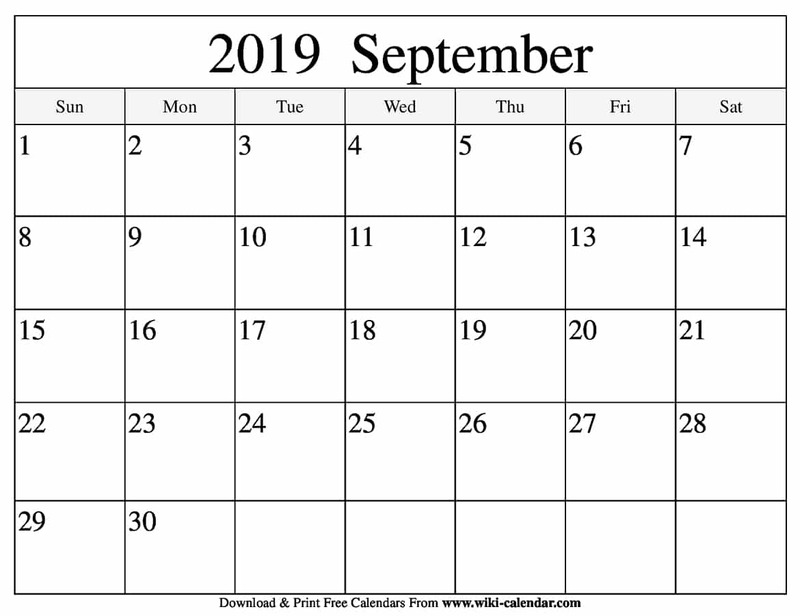 All these September 2019 calendar templates are available for free download on our site. They are available in several formats including PDF and JPG printable formats. – September was the seventh, not the ninth, month on the calendar. This is because the year started in March during. It became the ninth Month when King Pompilus added January and February to the calendar. In the ancient Roman Empire and Europe in general, September was the harvest month. It is during this period that farmers would reap the grains they planted in spring. Huge festivals would be held to celebrate the harvest. Emperors and governments also collected taxes during this period. It was, therefore, a very important month in that era. Today, September has a completely different significance in people’s lives. For Americans, it is the beginning of Fall, and the period to go back to school and work. Frankly speaking, it is one of the least favorite months. No one likes pulling out of a fun holiday, full of interesting activities, and being thrown back into the daily routine of school and work life. But since we cannot party all year, we face the month and all its hurdles. Despite this, there are several good things that come from the ending of summer. And one of them is TV shows. Fall marks the return of most TV programs that took a break in Spring. Comedy, drama, reality TV, and game shows all make a comeback in September. This is after keeping the audience waiting, possibly in suspense, for over six months. This is one of the many reasons that make the month interesting and worth looking forward to. Most nations in the world celebrate Labor Day on the 1st of May. But in the United States, it is done on first Monday of September every year. For this year, it will be the on the 3rd. 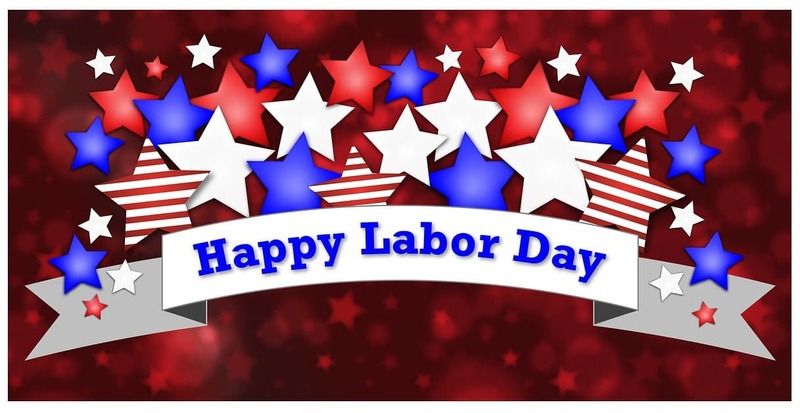 It is a day to celebrate America’s workforce and its contribution to the nation’s growth. Labor unions that fight for worker’s rights are behind the holiday’s establishment. The eight-hour day is notably the most vocal union that is behind the establishment of this day. Through their fight, this day was set aside to reflect on the blood sweat and tears, put in by America’s workforce day in day out all year round. These are often the final activities of summer. Equinox is a geographical phenomenon in which the sun is directly over the equator. This means that the length of the day and that of the night are exactly equal. It happens twice every year: in March and in September. This year, it will occur on 23rd September. The few people who keep tabs on such phenomenon can truly appreciate its beauty. It is a major geographical and astronomical phenomenon. It implies the sun has crossed over the equator and is heading south. Its implication is that temperatures will gradually start falling as the sun progresses further south until it reaches an all-time low in the winter solstices. Enthusiasts of the event usually gather on different grounds to witness the event in its full glory. In the US, the annual observance site is the Cahokia archaeological site near Collinsville, Illinois. It is a large timber circle in which you can witness the sun rise and set. In conclusion, September is a month that strongly stands out from the rest. It is the month that is always at the back of everyone’s mind throughout summer; for it is the period in which all holiday activities come to a halt, and our lives shift to school and work routines. A lot of back to school preparations and work scheduling has to be done during this period. 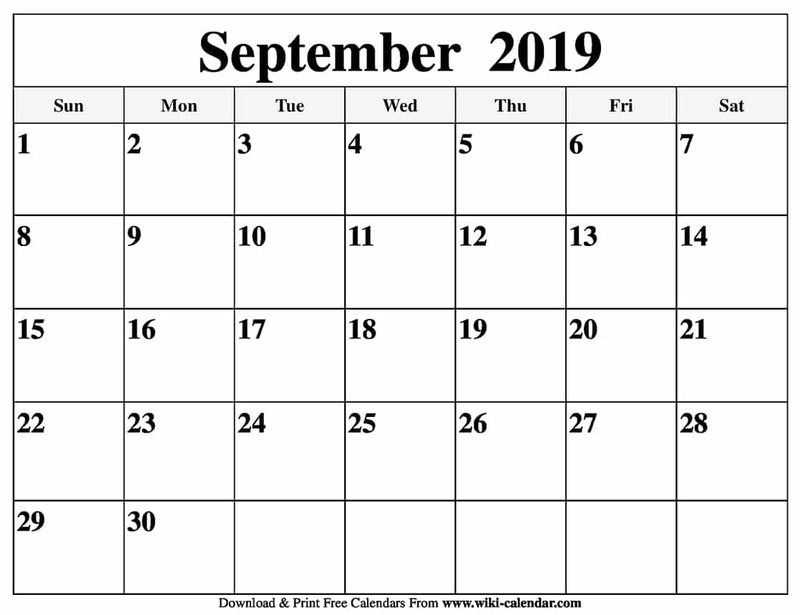 And this is why you need a September 2019 Calendar with Holidays template. 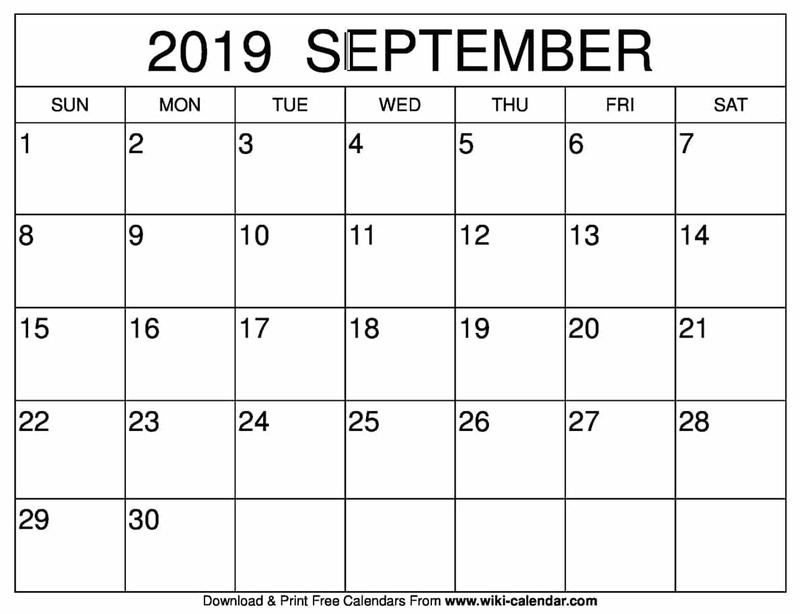 Wiki Calendar Copyright © 2019.